The interplay between cultural-artistic expressions and International Relations is rarely taken in consideration and examined; and most people do not even think about it. Still, it is way deeper than it may appear at first; and it reveals much about how a certain issue or actor is perceived, and this in turn deeply influences how we react to it. As a matter of fact, IR essentially examines the relations of actors at the international level. Now, every relation involves a mutual interaction, which also means a reciprocal definition between the involved agents. According to the Constructivist school of IR, the way states (and other actors) define themselves and their peers shapes their mutual perception and determines the type of interaction they have. This is why the cultural dimension of IR is so important: thanks to their immediateness and easy access, artistic expressions like novels, movies, paintings, songs, etc. can deeply influence our perception on a certain issue, state, or epoch. This is also due its very nature, art can deliver a specific message in a direct way, immortalize or denounce an event, create a myth, shape our conception of a historical moment or statesman. In other words, it is capable of building our collective memory; and this has a tremendous influence on how people and states interact with each other and react to a given event. Again, this also explains the prominent role played by art in propaganda, education, nation-building, soft power, and so on. This fundamental link between IR and cultural-artistic expression has always existed: just think of how any civilization has defined itself as opposed to "barbarians" portrayed as uncivilized people; or the use of art to celebrate the state, an institution, a political leader or a victory on the battlefield. But today, as we live in the Information Age marked by the diffusion of a globalized "pop culture" in a context where politics are heavily mediatized and virtually everything is politicized, the art-politics-culture interplay has become particularly important. As such, understanding how a given artistic expression form influences our mindframe, affects our perception and contributes in shaping the political narrative become more important than ever. I was introduced to this particular yet very interesting aspect of IR thanks to the Seminar on International Relations: Cultural Issues that I attended as part of my Master's degree at Université Catholique de Louvain. This page takes inspiration from that course and continues along its line. I was really fascinated by this topic and now I cannot stop myself from "analyzing" in my mind any IR-related movie / novel that I watch / read. The Memoirs of Hadrian is probably the most famous book written by Marguerite Yourcenar. The novel takes the form of a long letter where the Roman emperor Hadrian describes his life to young future Emperor Marcus Aurelius. But beyond being a litterary masterpiece written in an elegant French, the book also contains a series of considerations on the international order of the epoch; which also allows to draw interesting parallelism with the world Yourcenar lived in. 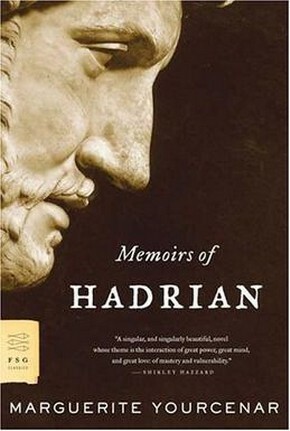 Through his narration, Hadrian reflects upon domestic issues as well as on the international situation of the Roman Empire, such as its relations with the powerful Parthians to the east, the recurrent state of conflict to defend the limes from the constant pressure of barbarian raids (described in a way that is consistents with Edward Luttwak's essay The Grand Strategy of the Roman Empire), the involvement in wars overseas, the expenditures to upkeep the military and the subsequent risk of what British historian Paul Kennedy defined as "imperial overstretch" in his majestic The Rise and Fall of the Great Powers. Hadrian appears self-aware of the long-term challenges the Empire is facing; and even of its ultimate, inevitable decline. The problems he invokes are strinkingly similar to those that the US was facing during the Cold War and are still dealing with today; making Yourcenar's novel not only extraordinarily actual, but also a must-read for all who are passionate of History, IR and literature. In this commentary of the Memoirs of Hadrian (in French) I examine the relevant aspects of the book linked to international reations. I wrote it in the context of a the Seminar in International Relations: Cultural Issues that I attended during my Master's degree at UCL. The version published here is essentially identical to the one I submitted for the course, with the only important addition being the images. 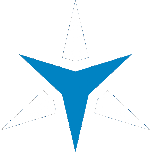 Click here to open the report!